Really tough class in a super hot room. Many poses I had never heard of. 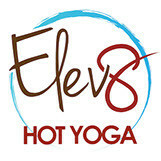 Extra hot class- was a little hotter than desirable for vinyasa but the flow was great! Awesome class. Great instruction and very friendly. Thank you for a great workout!! I was really sore and stiff after couple days of high intensity workout so I decided to take this class. Best decision ever. Amber is a serious practitioner which is evident in her classes. Some of the movements are more intermediate level and are based off the primary series in Ashtanga. If you want to improve and strengthen your practice, these classes will really help. Really enjoyed this class good flow and good music! Although I have done yoga for a few years, I Learned new sequences and different ways to get into postures in this class. Amber is a great instructor! I usually love this studio, but this class was unexpectedly bad. The instructor seemed so focus on her own practice and demonstrating her amazing yoga skills. This demonstration, however, caused her to ignore the students for the majority of the class which led to limited instruction or growth. I felt as though it was not a safe environment to take risks because I could have been injured. As a result I started to disconnect about mid way through class.